Allowing the Old Latin Mass is just “a first step” according to Kurt Cardinal Koch, an official of the Roman Curia. The time is however not yet ripe for the next steps Koch said on the Weekend in Freiburg. Liturgical questions are overshadowed by ideology especially in Germany. Rome will only be able to act further when Catholics show more readiness to think about a new liturgical reform “for the good of the Church.” The Cardinal spoke at a conference on the theology of Joseph Ratzinger, which also considered Ratzinger’s pontificate as Pope Benedict XVI. In July 2007 Pope Benedict decreed that Tridentine Rite Masses according to the Missal of 1962 may once again be celebrated world wide. The Missal of 1970 is however still the “normal form” of the Eucharistic Celebration in the Roman Church. Koch is the President of the Pontifical Council for Christian Unity. He tried to refute the charge that Pope Benedict is going against the Council [i.e. Vatican II] in liturgical questions: “the Pope suffers from this accusation.” On the contrary, the Holy Father’s intention is rather to implement conciliar teachings on the liturgy which have been ignored up till now. Present day liturgical practice does not always have any real basis in the Council. 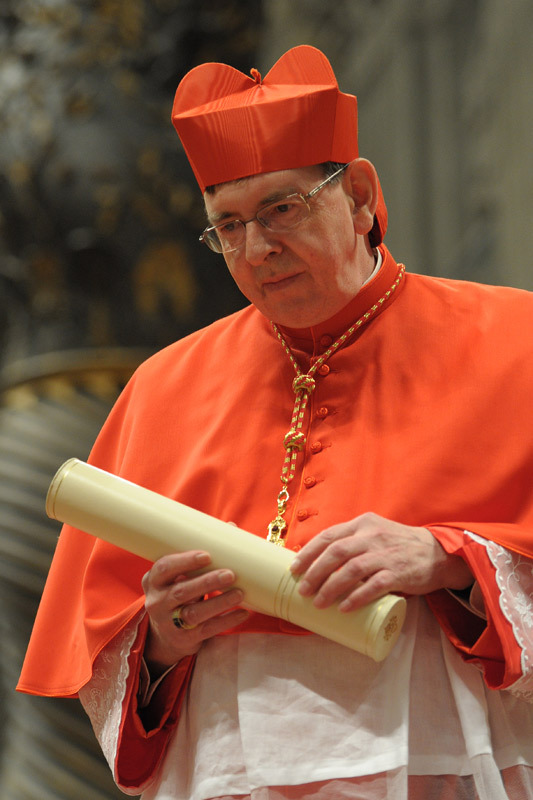 For example, celebration versus populum was never mandated by the Council, says the Cardinal. A renewal of the form of divine worship is necessary for the interior renewal of the Church: “Since the crisis of the Church today is above all a crisis of the liturgy, it is necessary to begin the renewal of the Church today with a renewal of the Liturgy. Cardinal Koch is the President of the Pontifical Council for Promoting Christian Unity.